What better way for a movie junkie to watch their favourite shows and movies than in the privacy and comfort of their own home? Well, now, you can! 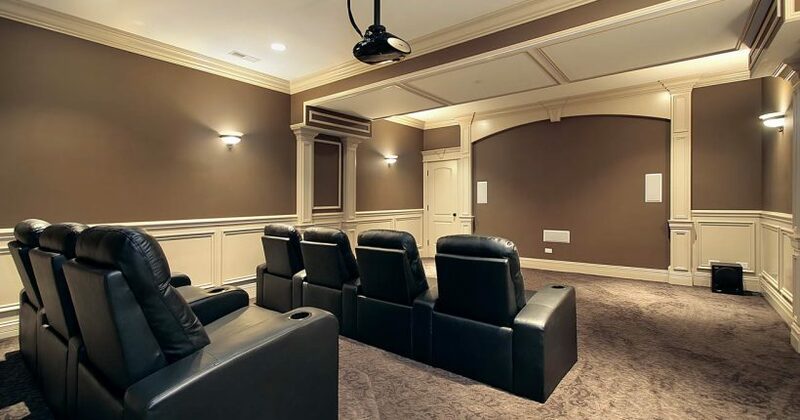 Renovate basement into a man cave equipped with an at-home theatre system where you can Netflix and chill, cozy up to your friends and family, and have a Lord of the Rings movie marathon. 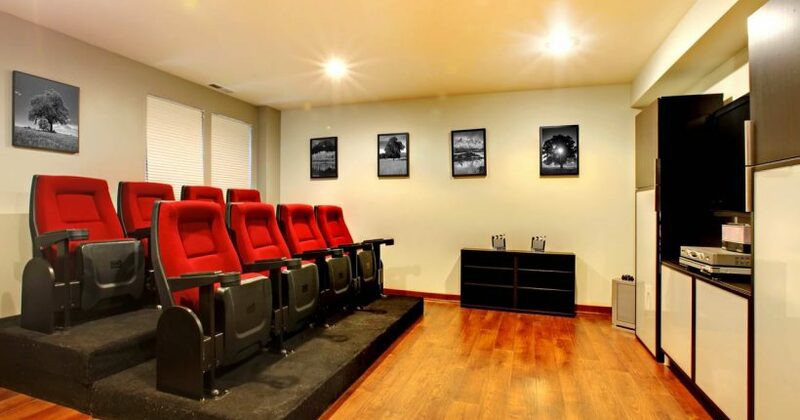 Among the many basement services we offer at Maple Reno, perhaps one of the most innovative ways we use that extra space is by turning it into a home theatre. Why Consider a Home Theatre System? Ultimate comfort: Most regular movie theatres offer a seating that is so uncomfortable that by the end of a movie, you feel like you need to get a massage just to get rid of the knots in your back. However, for your basement home theatre, you may fill your aisles with sectional chairs that are convenient for your back and posture, so you never have to worry about craning your neck for a great view. Drape it up: To simulate a realistic movie theatre design, add some theatre curtains that slide over your projector screen when it is not being used. High-quality audio: Built-in speakers on your walls are a great feature you can add to your home theatre, so that you get that amplified audio experience theatres are notorious for. Concession stand: A fun idea for your home theatre is that you can build a food booth stocked with various snacks and candy, or better yet, get a popcorn machine so you can munch on freshly popped kernels anytime. If you have other basement home theatre ideas in mind, get in touch with Maple Reno and we will make those ideas come to life. Our motto at Maple Reno is to provide our clients with a premium service, a positive attitude, and a highly-skilled team of experts. Call us for a professional opinion and a no-obligation quote today and an offer you will not be able to refuse.